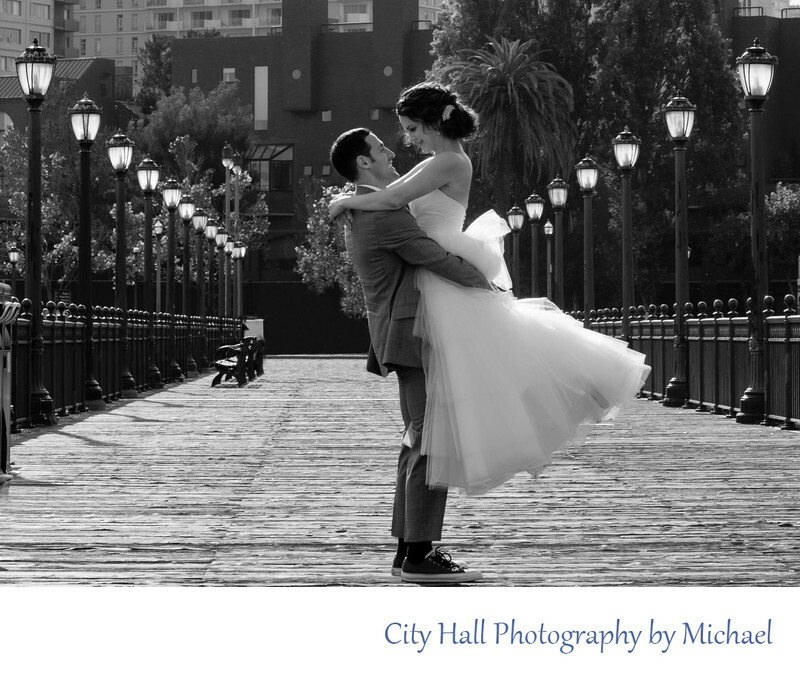 Pier 7 happens to be another of our frequently visited San Francisco locations to take our City Hall Wedding couples. We try to include Pier 7 whenever we have a wedding that ends a little later in the afternoon. The tourists on Pier 7 tend to diminish and it get close to rush hour during the week. The photo above was taken at about 6pm in the summer. As you can see the Pier is basically empty, providing us with a perfect backdrop to make this wonderful image. The being lower in the sky also helped create some dramatic light to help outline the subjects and set them apart from the background. Feel free to request Pier 7 in San Francisco as one of your City Hall tour stops.